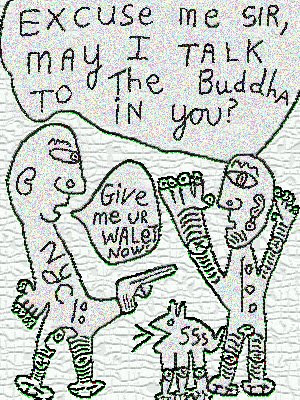 Diaristic Notations: Give Me Your Wallet Now! I received an email today from a visitor to NYC. She wrote that the people are mean and the sun is not shining. I told her to say, "Excuse me sir . . . ."